What happens when you marry up a company like Disney, and an automotive giant like General Motors? You better buckle up for some serious fun. 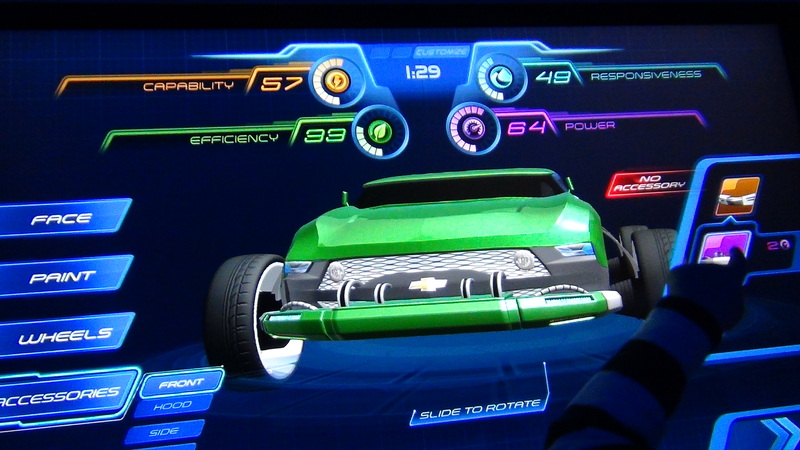 Starting today at Walt Disney World in Orlando, visitors to Epcot can visit the newly re-imagined Test Track powered by Chevrolet. If you’ve ever had the desire to design your very own cool car, now you can and it was amazing. When you first enter the ride, you’re immersed in an updated vision from Chevy on where the car of the future may take us. 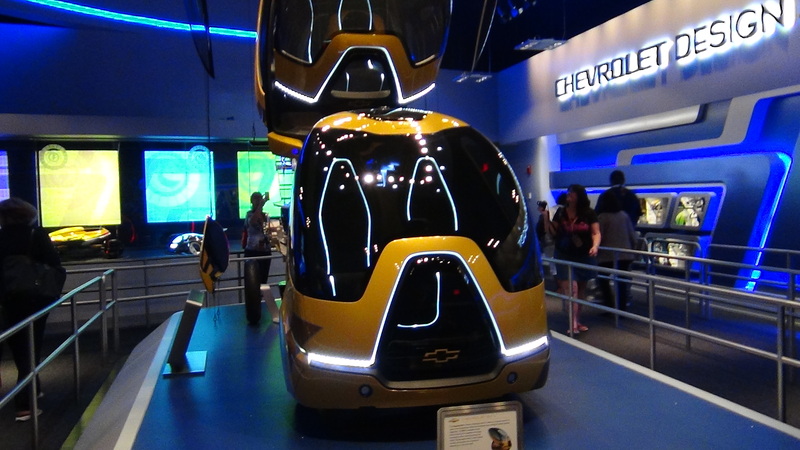 In addition to sketches of concept cars, you get to see the Miray, a concept car brought to life, along with the EN-V, an electric car unlike anything I’ve ever seen, developed in conjunction with GM and Segway. Think you’re all done? 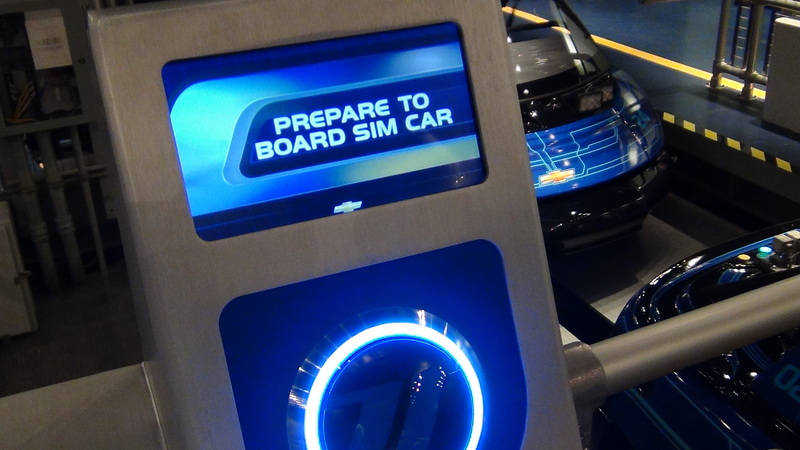 Now the fun part starts, and in enters your key card which you hold up to a bank of sensors that ties you to the physical car you’re about to hop into for your test track experience. We hope you’re not shy, because once you’re done, you’ll take it on a virtual test drive with up to six people, and you can see how your car stacks up stacks up through icy roads and hairpin curves. Once you’ve exited the ride you can see how you’ve done against all other riders that day, and you can race against others who have designed their own car. The experience keeps on going, and you can design your own commercial, which you can email to yourself for later viewing, pose in front of some cool cars on a background that you pre-select digitally in advance, and even get to have that traditional showroom experience. The sticker price on the showroom vehicles promotes the icons that represent the same Chevy design philosophy as when you designed your car: ensure the vehicle handles the roughest conditions, making it responsive as possible, having the right balance of power, while being fuel efficient and leaving a low carbon footprint. Having ridden the original, this was definitely a fantastically re-imagined ride that brings some very needed and very cool high tech upgrades to this familiar experience. While clearly it was one part commercial for the Chevy brand, it was mostly all parts incredible fun, and a ride most certainly worth checking out.